If you're going to be a guest on our show there are a few steps you can take to make sure everything goes smoothly on your end. Most guests are remote, but in certain cases recordings are done on-site. If you are a guest calling in via Skype or phone, you'll probably get an email from the show producer for a 10-minute Skype setup check. As a last resort, we do interviews via a regular phone call. In that case please use an old fashion corded land-line instead of a mobile phone, to avoid making the horrible sound quality worse. We try to do little editing, so almost everything you say could go into the "final" version of the show, edited in post production and released several days (or weeks) later. In some cases, we may edit for clarity, brevity and "flow". We will not change your intent, but we do need to be aware of time limitations. We are not governed by the FCC, and are already rated "explicit content". You can be as "uncensored" as you wish, within reason. Most importantly: Have fun and enjoy yourself! Usually the topics will be prepared in advance and shared via a Google doc or regular email. You can suggest your own topics via email or by adding it to the bottom of the Google doc. Interview length is usually 30 to 45 minutes but plan in at least 1.5 hours of time. A producer invites you to be on one of the shows and directs you to this page. You send your Skype name to the producer, who will add you to the "contact list"
One of our team will connect with you to check out your Skype connection. You go on as scheduled. The primary method of communicating with us is through Skype. Skype is available on Windows, OSX and *NIX, although the Windows version tends to be the most up to date. DO NOT install browser add-ons, as they are annoying (but harmless) to your browsing experience. Download the latest version of Skype from http://skype.com - it's free. Make sure to have a good Internet connection and test Skype quality prior to your appearance. Make sure you have the latest version of Skype (Use the "Check for Update" menu item). A "subscription" to "Premium" Skype is not required. Skypeoverwrites the computer's audio and video settings. And these settings usually need to be re-seteachtimeyouplug in the headset. On a Mac, go to Skype->Preferences->Audio and select your USB headset for "Audio output" and "Audio input." Leave the "Ringing" setting to your built-in speakers (this is so you can hear it ringing if you've stepped away from your computer. In Windows, go to Tools->Options->Audio Settings. There you will be able to select your USB headset for Microphone and Speakers, but leave "Ringing" set to "Windows default device." When restarting Skype, call "echo123" and test your audio with "the Skype lady." Tap your headset's microphone to make sure the audio is coming from that source. If your audio sounds hollow or has an echo, then your audio is coming from the laptop microphone. If you are able to, you may improve Skype call quality by setting a fixed port and enabling port forwarding on your router. Don't attempt this unless you are experienced in network configuration. 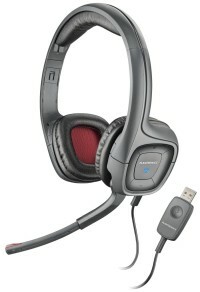 USB headset: If you wish to buy one on your own we recommend the Plantronics .audio 655 USB Headset. They run about US$35 on Amazon.com. We've found that USB headsets without foam covering on their microphones often don't sound as good as the ones that do. Do NOT use a Bluetooth headset - they sound terrible. Please do not use the built-in laptop microphone if at all possible. This is only for use if we have exhausted all other options. If the laptop microphone must be used, then find some iPhone/iPod headphones and plug them in so you hear the audio through the headphones. This will prevent echo coming back into the stream. Speak as close to the microphone as reasonably possible, to avoid picking up background noise. Unplug any other speaker system, headset or earphones plugged into that computer. They may conflict. Multiple USB ports: You will want to make sure the USB headset is plugged directly into the USB ports, not through a hub. Which USB port? We've found that when using a laptop, it's best to use the USB port nearest you (furthest from the screen), as it usually has the least power/interference issues. NEVER play the audio of the show via your computer speakers, internal or external. This creates echo that makes it difficult for the audience to understand the show and is almost impossible to edit out in post production. Ethernet connection rather than Wi-Fi, please. If at all possible please connect directly to the ethernet (cable) rather than using Wi-Fi (wireless) as you will have a much greater likelihood of sounding good. Also, if you have to reconnect multiple times it will disrupt the show and increase the amount of editing needed. Are you using your home network? If so, ask others on your network NOT to watch YouTube or download stuff from BitTorrent or iTunes. Honestly. Close any application that is not needed , especially if it takes up a lot of memory or connects to the network. Check your network speed at http://speedtest.net. You need at least 2Mb/s download and 1Mb/s upload. More is better. If haven't rebooted your computer in a while, it would be advisable to do so, preferably 30 minutes or so before the show. Speak clearly and with ample volume. Don't yell. Speak close to your microphone and try to maintain a consistent distance from your microphone(approx. 5 inches away). Turn off your phone. Putting it on vibrate will not work. Find a room without much echo and few background noises. That is usually the room with the most carpets and curtains. Close the curtains / drapes in your room as this helps to reduce echoes. Close external windows and doors to minimize noises from outside. Switch off noisy air-conditioning or fans. Will your office-mate or family members be shouting nearby? Close the door and put a sign on it that says: "Shhhh! Business phone call in progress. 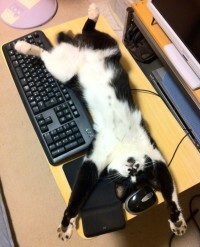 Please don't come in before X o'clock." Think about the best approach to deal with your pets beforehand. Usually this means putting them outside the room you will be speaking in. Ensure that your kids and family members know not to disturb you. Familiarize yourself with the working of your audio equipment, especially the "Mute" button. Don’t fidget: eliminate chair noises, table kicks, pen clicks, paper rustling etc. Don't type on the keyboard during the recording (or make sure you are muted). It will sound to the audience like you are hammering nails. We will contact you via email or twitter when the show goes live. Do check it out and let us know what you think. We would also appreciate a re-tweet or, if you have a blog or the likes, a mention on there, with the link to the page. That will help your visitors find the episode more easily. You can also link to us with official graphic. If you are comfortable changing the link, you can point it to your episode.